The long and short of it: This high-quality One Handle Wall Mount Bathroom Lavatory Sink Faucet represents a great addition to any bathroom. It INCLUDES the in wall valve as well as a stylish single handle to operate the hot and cold water flow. The single handle can easily be rotated forward and back to adjust the temperature and side to side to adjust the water volume. Some Delta fixtures require the handle and rough-in valve to be ordered separately. We have taken out the guess work and are offering this Wallmount sink faucet complete with everything you need INCLUDED. 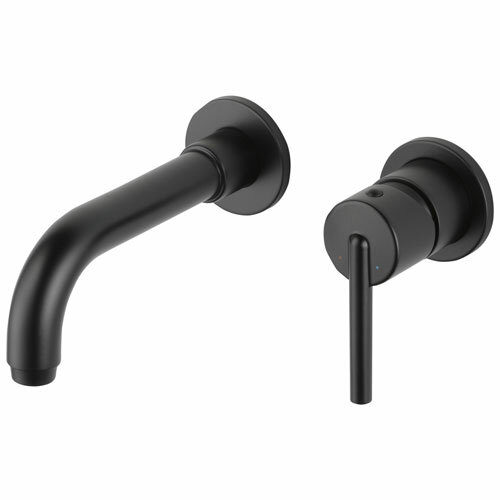 We include the faucet body trim kit, the rough-in valve, and also the compatible handle. 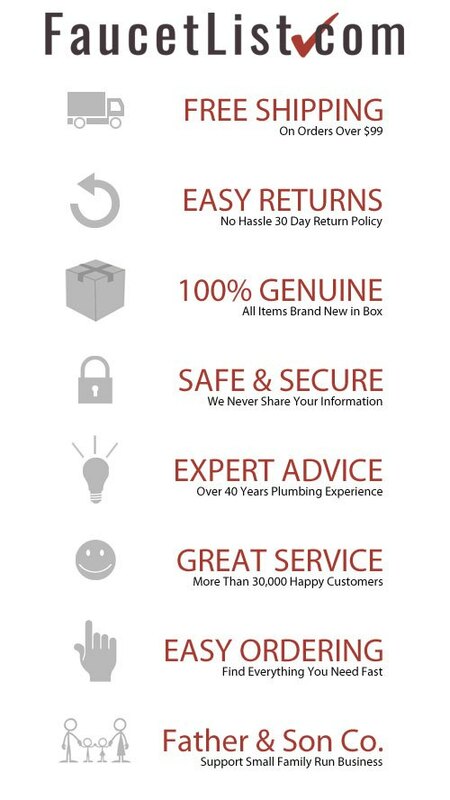 Everything is guaranteed to match and to fit together so ordering is easy! 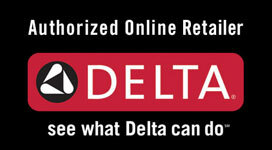 Get yours today and find out what makes Delta the industry leader in Bathroom fixtures. Buy this item if: You are looking for a stylish, high-quality Wall Mount Bathroom Sink Faucet COMPLETE with Valve, Trim Kit, and Handle. Wall Mounted faucets work great with normal or vessel sinks. They are a stunning showpiece that can give your room a real designer flare. Order now! This fixture includes the Rough-in Valve. The Valve is the part that installs in the wall and connects to your home's hot and cold water supply. The Valve included with this item is the R3510WL Delta Single Handle Wall Mount Rough. Delta has manufactured all of their 1 Handle Wall Mount Faucet Trim kits (the part of the Faucet you actually see) to fit the same Valve. In the future, if you ever plan to change the style or finish of your Faucet, you will not need to change out the Valve in the wall (as long as you stick with Delta as the manufacturer). This saves you from having to rip out tile or go through other hassles to change your Wallmounted Sink Faucet. You can just swap out the old with the new. This advantage allows you to stay up to date with the latest design and home decor trends! Buy this Delta Trinsic Collection Matte Black Finish Single Lever Handle Wall Mount Bathroom Sink Faucet Includes Rough-in Valve D2099V Now!